I found myself taking some time off blogging this week and was enjoying being the observer of beautiful art, creating and crafting that happens all over the world. I did make a card during my siesta. This week's Make It Monday #104: Handmade Pinwheels caught my attention. Does anyone else remember the show "Pinwheel"...as in "pinwheel, pinwheel spinning around look at my pinwheel and see what I found?" Good times. Anyway, Ashley Cannon Newell did a video showing a couple of options for making pinwheels that are super easy, but so fun and capture the happiness from childhood. I went with cutting a larger square and a smaller scalloped square to create a double layer pinwheel. 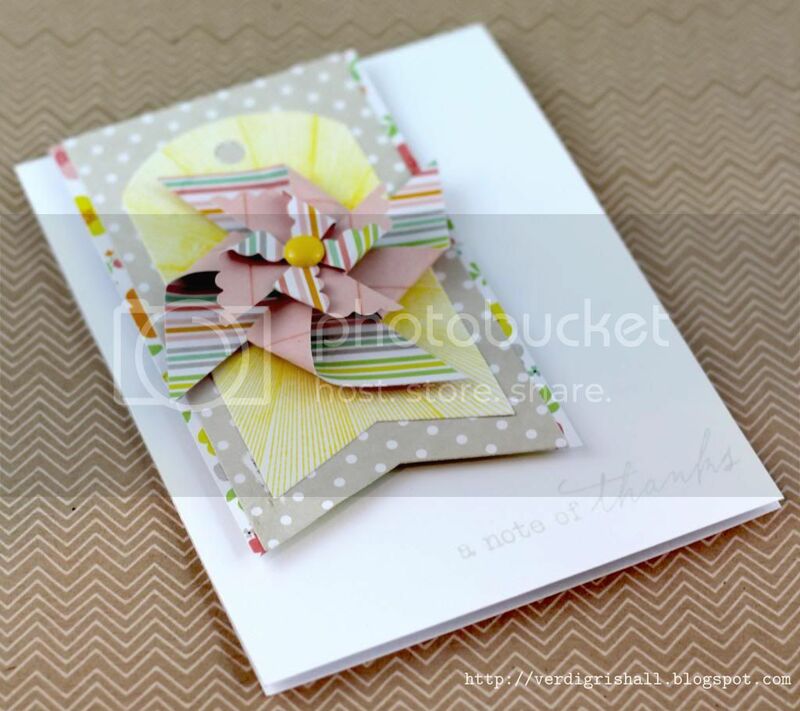 All the patterned paper for this card come from Dear Lizzy's Neapolitan collection. This may be a slightly older collection, but it is gorgeous and perfect for spring and summer which can be mixed up with other Dear Lizzy collections or numerous collections and products. I stamped the lined ray from Hello Sunshine in yellow on piece of white cardstock cut from Tag Sale #5 Die...this is an endlessly useful shape and paired with the Wine Bottle Tag Die makes an instant statement. I added a little border of the floral design (from a strip found on the sea breeze paper) to each side of the Wine Bottle Tag Die. I adhered my pinwheels to the tag and then adhered it all to a piece of white cardstock. I stamped the sentiment in soft stone ink. Last touch was a yellow enamel dot to the center of the smaller pinwheel. 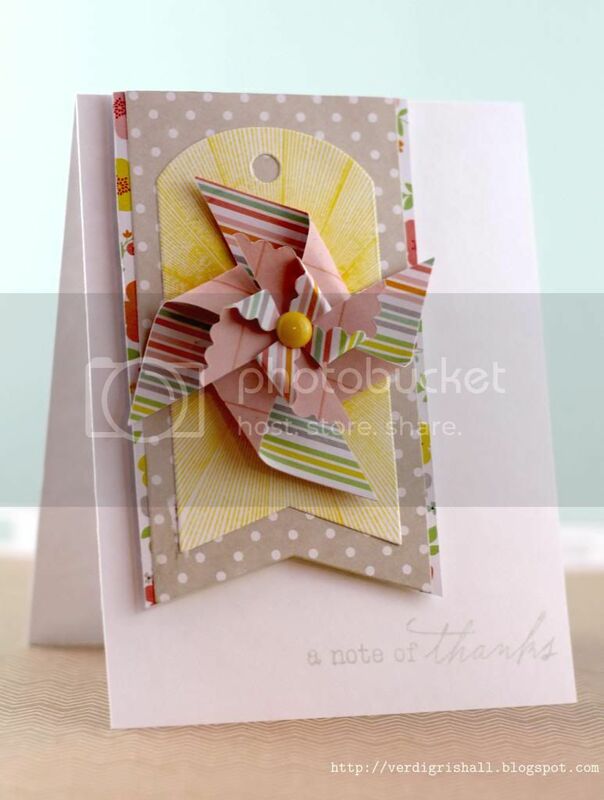 There you have it...a pretty pinwheel card. I hope you have a delightful Sunday and enjoy the Oscars! Delightful card! Loving the way you showcased your beautiful pinwheel. 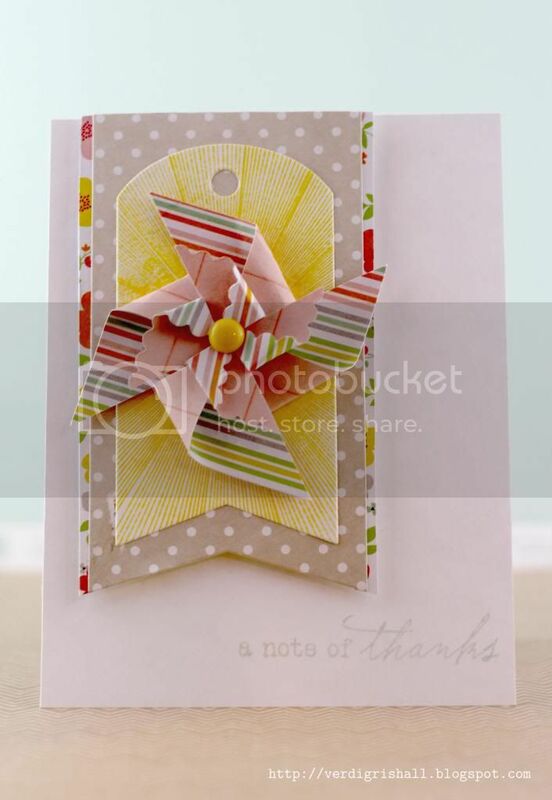 Beautiful card Shay, that pinwheel is awesome! I've been slowing down on my blogging too lately. I just don't get as much time as I used too. It seems like something always comes up to keep me out of my studio. 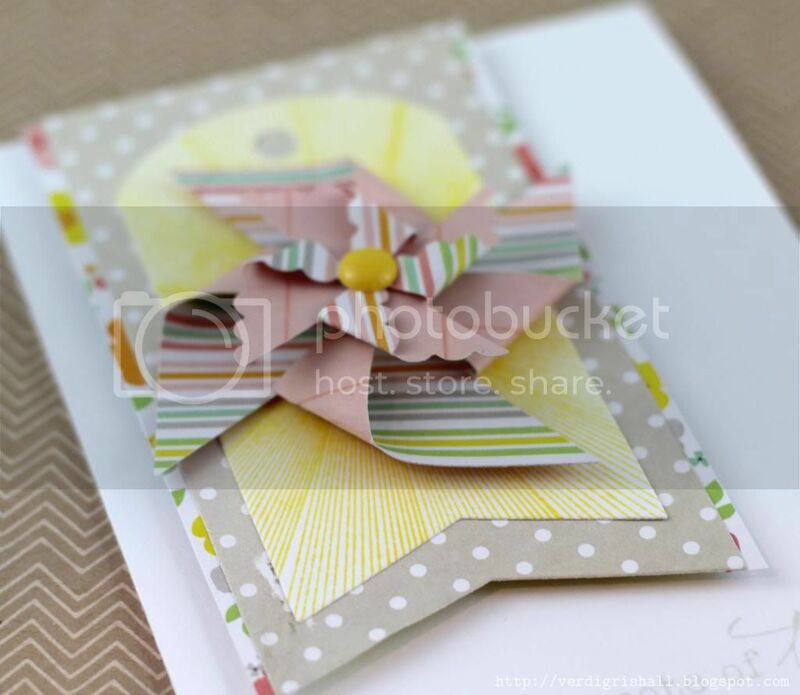 This is gorgeous, love the patterned paper and layout! Thanks for sharing!